Seek To Know The Truth Does NOT Endorse The Theology Of Newswatch Magazine. Congress with few exceptions passed a bill, NDAA, that will give the power to detain Americans INDEFINITELY WITHOUT charges. It was signed by Obama who said “even though I have the power, I would never use it … trust me.” (Rep. Ron Paul, TX., DON’T TREAD ON THE CONSTITUTION, 2012). 1. Hitler’s Germany – the NAZI’S. 2. Stalin’s Russia – the Communists. 4. North Korea – Communist. 7. United States of America – Socialized by Franklin Delano Roosevelt and Being Communized by Barack Obama! Of all the rumors flying around on the internet, one just refuses to die. It concerns America’s FEMA camps. In a nutshell, there seems to be a solicitation of bids occurring for the staffing of FEMA camps within 72 hours of implementation by an order from either Homeland Security or the president. This situation begs to be investigated, with special consideration paid to the MOTIVES of the present administration. Remember, the Obama administration is filled with Socialists/Communists, including himself! What have the Communists always done? 1) Disarm the people! 2) Collect people who oppose them and place them in concentration camps! Anyone can go to the source, the FedBizOpps.gov, and search for the solicitation number HSFEHQ-10-R-0027, titled National Responder Support Camp. This says it was cancelled, and a new draft solicitation would be issued in January 2012 for industry comment. The required size of the camps will differ. They will have the capacity of 301 to two thousand occupants, including security and camp guards. The staffing requirements for FEMA personnel for the camps are 3 to 15 each. 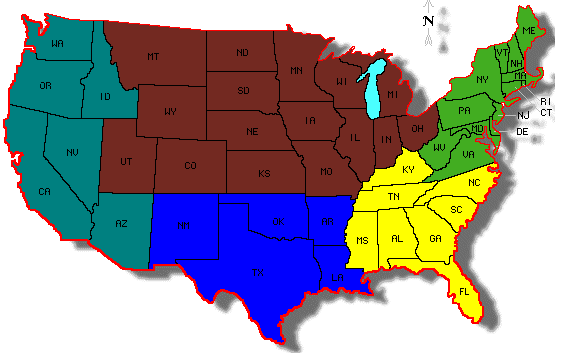 There is to be five distinct regions within the borders of the US, with camps located in every state. The size of the camps will vary from 5 acres per 1,000 inhabitants to three acres for populations of 500 or fewer. Area 1: CT, DC, DE, MA, MD, ME, NH, HJ, PA, VT, NY, WV, VA, and RI. Area 2: KY, TN, MS, AL, GA, SC, NC, and FL. Area 3: CO, IA, IL, IN, KS, MI, MN, MO, MT, ND, NE, OH, SD, UT, WI, and WY. Area 4: AR, LA, NM, OK, and TX. Area 5: AZ, CA, ID, NV, OR, and WA. The language is specific that these camps are for the entire nation, not just a localized natural disaster. As citizens, we need to know the exact purpose of these camps, given Obama’s propensity to BEND OUR CONSTITUTIONAL REPUBLIC to his own purpose. Newswatch Magazine – May 2012 – pages 8, 11, 12.